Available in paperback at Amazon.com. There comes a time in our lives when our wings have trouble remembering how to fly. Cancer sneaks in on silent feet, takes up residence, and clips our wings. We fight, we flutter, we do our best to just keep flying--and then we have to ask for help, from our friends, from our family, from our loved ones near and far. We’re asking for a gathering of angels . 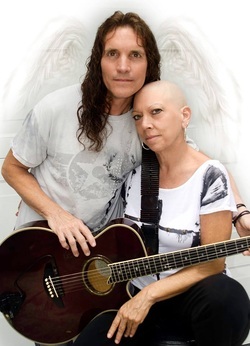 . .
Our sister, Annette DeMarino Swaim, has been diagnosed with cancer. She’s a fighter, as you may know, but she needs our help. A benefit for Annette was held on June 30, 2013, to raise money for her medical care, to give her the fighting chance she needs. Friends, family, and strangers came together for what turned out to be a very successful gathering. Your love and support, your prayers and white light for Annette is greatly appreciated. The fight continues. We’re asking for a gathering of angels.